A natal birth chart, also referred to as a birth chart or a natal chart, is a horoscope or astrological chart that is drawn from the exact time of a person’s birth, and it give a revealing glimpse into a person’s character by analyzing the position of the planets and the astrological houses during the time of birth along with the person’s astrological sign. The three main components of a natal birth chart are the signs, the planets, and the houses. 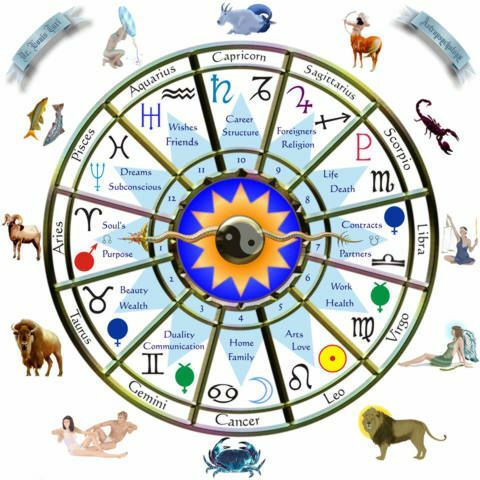 The signs is the 12-fold cycle of the zodiac and describe a circular rhythm and is one of the more popular aspects of astrology. The planets refer to the sun and the moon and the other planetary bodies in the solar system. And the houses will show where an energy could be expressing itself or where a certain tone is received in the field of human experience. The planets show what is happening, the signs show how it’s happening, and the houses show where it’s happening. The following is a free natal report giving you a detailed position of the planets in the signs and houses, as well as the aspects between the planets in your natal chart. Enter your birth data and the program will calculate and display your birth chart. Its preferred but not necessary to have an exact birth time. Hover your mouse pointer over the different regions of the birth chart and read the explanation for each component. and then click the redraw button below it.